Singer Lauryn Hill performs during the Wailers’ 30th-anniversary performance at the Apollo Theatre Nov. 29, 2014, in New York City. 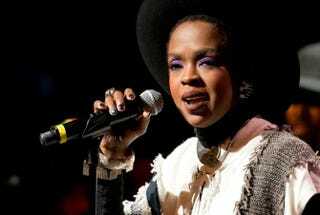 Lauryn Hill is returning to the stage February for a handful of shows. On Feb. 13 Hill will launch her Small Axe: Acoustic Performance Series, kicking things off in Washington, D.C. Although Hill, who was released from jail after serving time for tax evasion, has not released new music since her MTV: Unplugged series, the New Jersey native still finds time to tour and raise her family. The acoustic series will consist of six nights of shows, with two nights in Washington, D.C., and the remainder in New York City. The shows will be intimate, considering that each venue holds only 250-500 people. Hill’s most recent shows have garnered her more notoriety for her lateness than for her music, so hopefully these shows will go on without drama or tardiness. Tickets are available at MsLaurynHill.com.